Are you interested in sewing but have no idea how to pick the best sewing machine? There are so many types and brands of sewing machines. Choosing one can be a daunting task. They also come with different price tags. Unfortunately, the price alone may not be the best way to make your pick. You do not want to pick the cheapest sewing machine only to realize it was the wrong one for your intentions. Getting the best sewing machine at an affordable price is possible. Which kind of sewing will you be doing? Choosing a sewing machine based on the function makes it easier for you eliminate those you do not need. 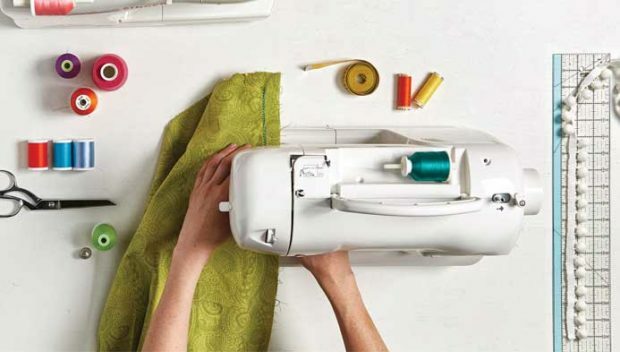 Are you buying a sewing machine to sew fabric, embroider, or make quilts? It is critical for you to buy a sewing machine you will get to use as intended instead of storing it because you made a mistake during the purchase. Do you want an industrial or home sewing machine? Industrial sewing machines usually make a large number of items in a short time. These machines have been built using durable material because of the quantity of work and duration they are expected to work at a time. Domestic sewing machines, on the other hand, have been designed for minimal sewing. If a home sewing machine is used for mass production, it would likely breakdown in a short time because it has not been designed for heavy duty sewing. If you are buying a domestic sewing machine, it is essential for you to decide which type of sewing machine you are most comfortable using. Do you prefer electric, manual, computerized, or overlocker sewing machine? Manual sewing machines require greater physical involvement compared to the others. Overlocker machines prepare seams, especially the thick ones. Overlocker machines are also used in industries since they run at high speeds. This does not mean you get the cheapest. It is important to note that, often, cheap machines do not have strong parts. It is best to look around and have an estimate of sewing machines then plan on the most affordable one you can get. Paying a little more may save you from replacing the machine in a few months. How comfortable are you when using the sewing machine? You are probably wondering how you would know this if you have not yet used the sewing machine. When you visit a dealership, before settling for a particular sewing machine, find out how comfortable you will be sewing. Sit down, and attempt to sew. Ask if it is okay to try out the machine before paying for it. Find out if it runs smoothly, how much noise does it produce when in use, and the quality of stitches. If you are buying online, you can look at reviews from clients who have bought a similar sewing machine. Doing this will help you make a decision faster without regretting it. When buying a new sewing machine, it is important to note the frequency of use. If you are buying it for business, you may need to be inquisitive about the quality of the sewing machine. If it will be used infrequently, you should consider the impact of storage on it. The choice of sewing machine is highly dependent on your preference and type of sewing you will be doing.